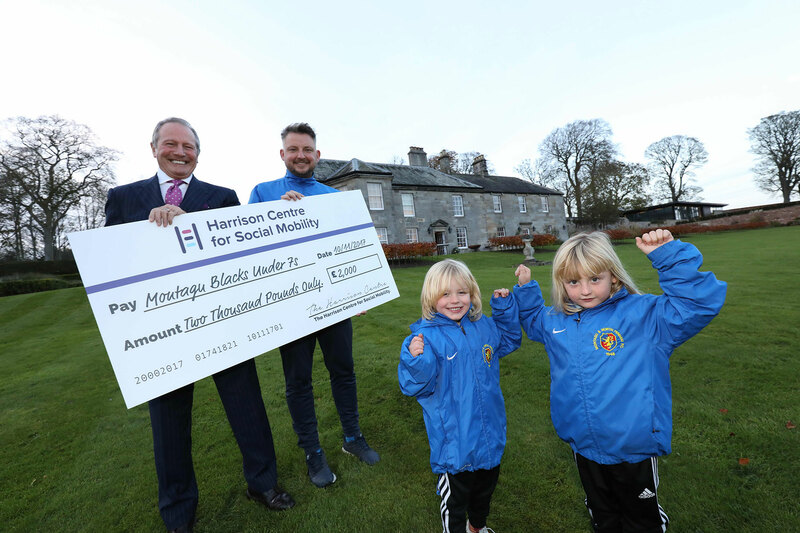 The Harrison Centre for Social Mobility has capped a bumper first six months in operation by handing £70,000 to a North East charity. HCSM was set up to make a practical difference to social mobility by supporting charities that maximise people’s career and life potential. It aims to challenge the UK’s widespread lack of social mobility – the ability to move from one level in society to another. It was launched late last year by David Harrison, founder of Newcastle-headquartered financial services and technology firm True Potential LLP, one of the fastest growing businesses in Europe. And significant progress in its fight for increased social mobility has been made in the six months since. Most recently it has donated £70,000 to Sunderland’s Beacon of Light, an innovative sports and education facility designed to create life-changing opportunities for local people, opening this summer. HCSM’s commitment includes the opening of a dedicated workshop at the facility. Here a range of programmes will be offered to build skills and open up employment opportunities by connecting people to working life. Additional support has been given to the Duke of Edinburgh’s Award (DofE) to provide young people with the opportunity to challenge themselves and develop their potential. With more than 430,000 young people doing their Duke of Edinburgh Award, it is the UK’s leading youth charity. A further £5,000 was also recently donated to the Prince’s Trust to support the youth charity’s work in the North East. Donations totalling £30,000 have been handed to seven local charities, including the Chronicle Sunshine Fund, Moving on Durham and Gateshead-based Changing Lives. Other recipients include the Newcastle United Foundation, the Foundation of Light in Sunderland, Montagu Blacks U7 football club and the Oswin Project in Northumberland. Since its launch, HCSM has also become nationally influential in challenging Britain’s lack of social mobility. The organisation partnered with former Education Secretary the Rt Hon Justine Greening MP to launch the Social Mobility Pledge at Westminster in March. The Pledge urges employers to commit to supporting social mobility by: working with schools, giving disadvantaged young people access to training opportunities and embracing open recruitment policies such as name blind or contextual recruitment. Major employers to have signed up so far include Tesco, John Lewis, Marks and Spencer, Vodafone, ITV, BT, Adidas, PWC, KPMG and BP. Separately, HCSM has launched a research initiative with The Lord Bird MBE, founder of the Big Issue magazine and a life peer in the House of Lords. HCSM will work with Lord Bird to research the root causes of poverty and the barriers to social mobility, and establish ways to dismantle them. HCSM founder David Harrison says: “The Harrison Centre aims to give others the opportunity that I have had to experience social mobility in action. We provide advice and financial support to charities involved in helping people to get on in life. We also look for new and unproven ways of tackling long-standing social mobility issues in the North East and wider UK. HCSM predominantly focuses on harnessing education, training and skills to challenge social mobility barriers. Its launch was inspired by the growth of practical philanthropy during the Industrial Revolution.